America, the beautiful! 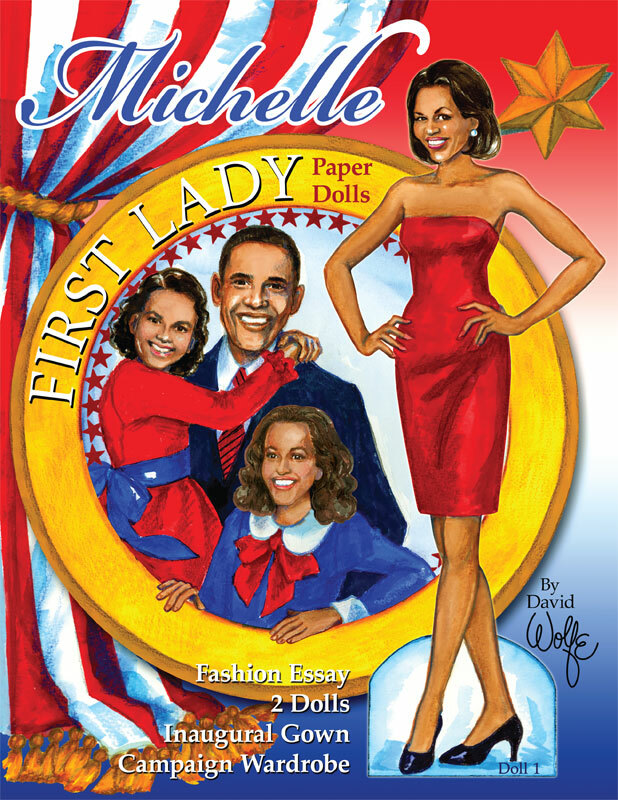 Paper dolls are sometimes designed to salute our country, its rich history and honorable heritage. 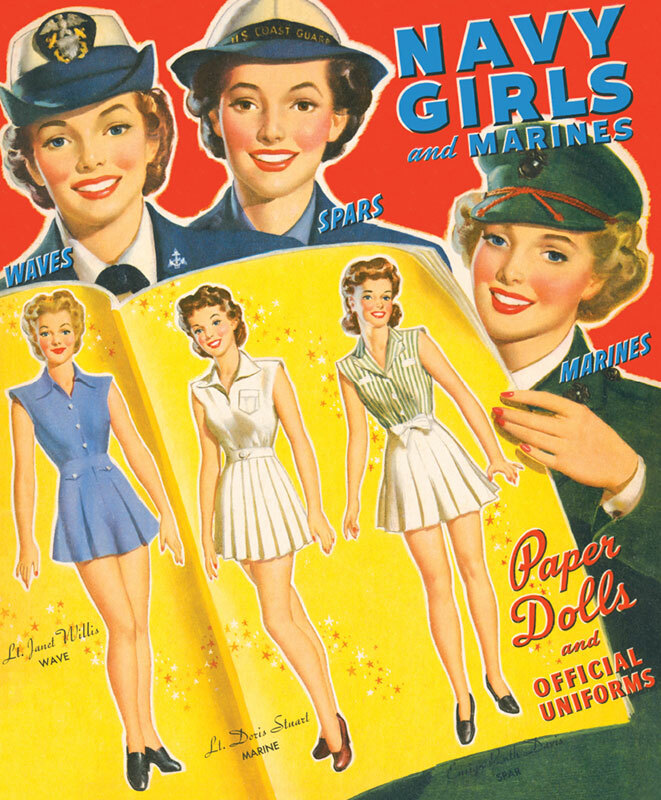 Military paper dolls trace the history of uniforms from the Revolutionary War to modern times. 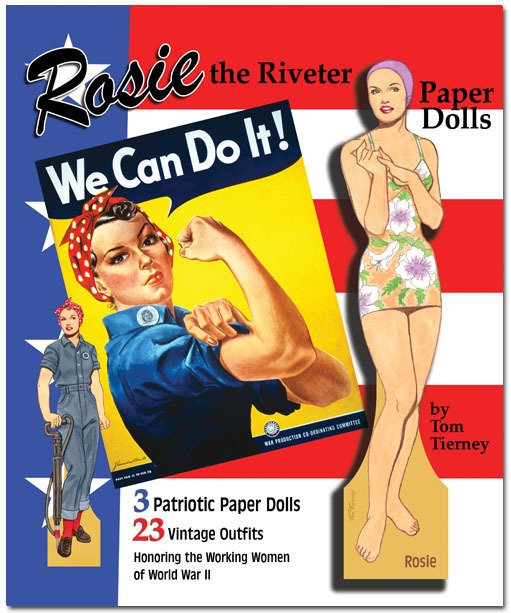 Famous American heroes and heroines, are often honored as paper dolls. Hooray for the red, white and blue! 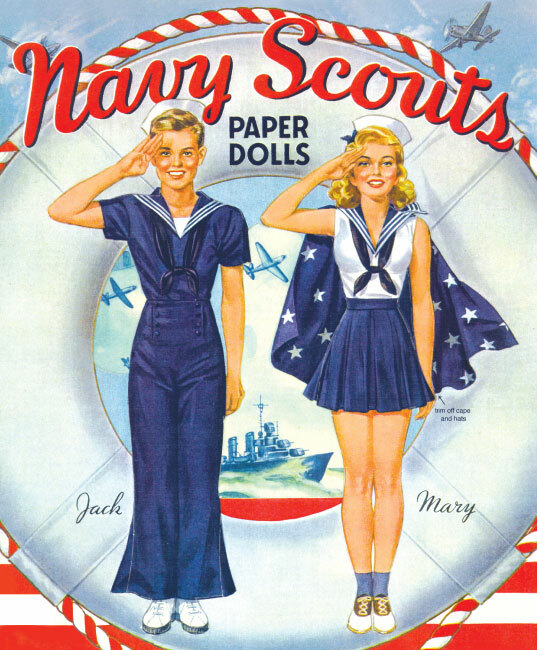 A superb example of the patriotic paper dolls from the 1940s. 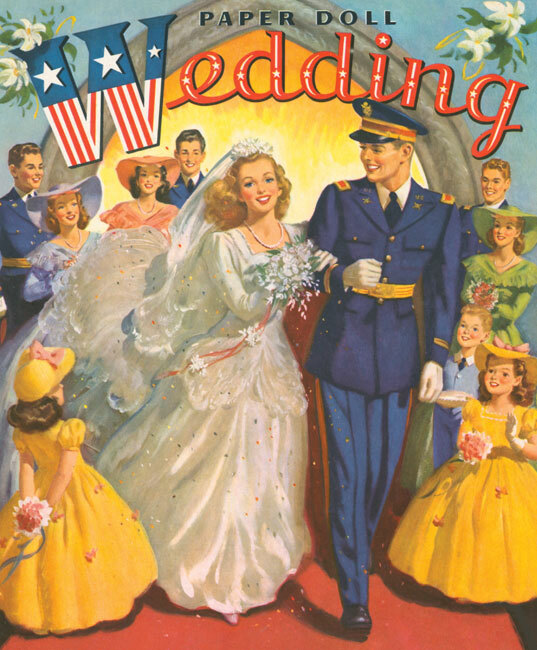 The cover art features two couples--Jack and Mary, and Susan and Bob. The inside pages have great background designs to set off the military-influenced fashions as well as gowns, daytime clothes, and, of course, uniforms. Four dolls and eight clothing pages. Book size 9 1/2 x 11 1/2 inches with cardstock covers.